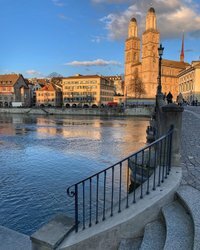 Planning on visiting Zurich, but you don't know the city, or perhaps not well? Then the various brochures with tips on many offers in and around Zurich are sure to help. If you are thinking of making a tour, need inspiration for a shopping spree or some sightseeing and sporting activities – or you would simply like to have a pocketsize public transport network guide, all such brochures are available at the Zurich Main Railway Station or available for download as a PDF file. Discover Zürich! Zürich – the city by the lake with views of the Alps. A metropolis that draws art-lovers from all over the world. A shoppers’ paradise, and a city for gourmets. Where the sightseeing is as attractive as the surrounding scenery. Be inspired and visit the city on the River Limmat! Discover the sights of Zürich on the ‘Classic Trolley’, by boat, or even on foot – or enjoy a day trip in the region. 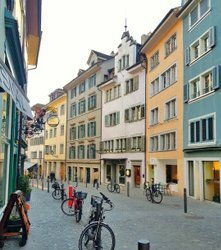 Official city guide with information and tips for your stay in Zürich (hotels, sights of interest, culture, excursions, shopping, restaurants, cafés, nightlife and events). Zürich Card: Experience more for less money. Whether by tram, bus, train, boat or cable car – with the Zürich Card you enjoy unrestricted travel throughout the city of Zürich. Download the Zürich Card Guide now to get further offers and information. Marked on the regional map are the most exciting ideas for excursions in and around Zurich. 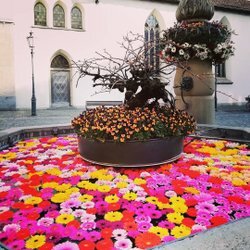 A trip to Rapperswil, the City of Roses, on Lake Zurich, to the nearby mountains, such as the Titlis or Jungfrau, or to Zurich Zoo: here discoverers will find a variety of options for fascinating new adventures.